Why do so many of you still call the Premier League the Premiership? Its not, its as simple as that, and hasn't been since 2001. Woodruff wrote: Why do so many of you still call the Premier League the Premiership? 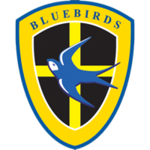 if a product changes its name and then the majority keep using the original name it suggests they got it wrong surely..
bit like us playing in red with a beer mat badge and the public, supporters and many in the media continuing to call us the bluebirds..? maybe the FA need a chat with Vinnies mum. Bet it's predictive text that calls it premiership? I know mine does and I be fcked if going to change it to premier league to be politically correct! And Does it actually matter? pembroke allan wrote: Bet it's predictive text that calls it premiership? I know mine does and I be fcked if going to change it to premier league to be politically correct! And Does it actually matter? Predictive text wasn't around in 2001? Makes me laugh when people call league one division one. Surely division one is the Premier league? Premiership has fewer characters than Premier League. Easier to type, for us lazy gits. Everyone knows whats being to referred to. Bridgend_bluebird wrote: Makes me laugh when people call league one division one. Surely division one is the Premier league? May be it wasn't but it is today and as we all know predictive txt as a mind of its own? Yes we will be in champions league according to predictive text! surely that just makes the name change a bigger mistake ?